At the Republican Convention in the summer of 1987 there was a great deal of surprise and consternation in the press when George Bush, the Republican nominee for president, chose Dan Quayle as his vice-presidential running mate. Quayle was young, not well-known and quickly declared by many to be incompetent—unjustly in my opinion. Many asked why George Bush would handicap himself by this selection. There were many suggestions, of course. But the most interesting was by Camille Paglia, a Philadelphia-based professor of communication theory and a well-known defender of television. She reminded everyone that television is an image-based medium, that political conventions are television events and that what occurs at the conventions is not to be explained in rational terms but as symbols and imagery. What happened at the convention was that "George Bush chose a son," she explained. Before this he had been under the shadow of the older Ronald Reagan, sort of a younger son to the older man. Now in order to come into his own and establish his stature as a future president he chose as his running mate the younger, even boyish looking Quayle. The Hebrew word translated "Of Solomon” can also mean "To Solomon," just as the word translated "Of David” can mean "To David.” It is one ground on which scholars have questioned the traditional authorship of both collections. If this is the meaning here, Psalm 72 could be a psalm of David for the son who succeeded him, which makes the ending ("This concludes the prayers of David son of Jesse") even more appropriate. Yet the argument does not work out very well. The ending of Book Two can have only one meaning; that is, most of the preceding psalms were written by David. If that is the case, the titles of those psalms must be read "Of David” and not "To David.” And if the Hebrew preposition with the noun means "Of David" in the case of David's psalms, then it must mean "Of Solomon” in the case of Psalms 72. There is no good reason for denying that the last psalm of this collection is by King Solomon. This psalm has given us several well known hymns. James Montgomery's "Hail to the Lord's Anointed” and Isaac Watts' "Jesus Shall Reign” are two. But we also have Henry Scott Holland's "Judge Eternal, Throned in Splendor” and the Psalter rendering of verses 8-14 and 17-19 that begins "Christ Shall Have Dominion" (sung to the tune for "Onward Christian Soldiers" by Sir Arthur Sullivan). The original Trinity Hymnal contained seven hymns based on this psalm. The newer Trinity Hymnal has four. The stanzas of Psalm 72 describe five qualities of Christ's kingdom: 1) its character (vv. 1-4); 2) its duration (vv. 5-7); 3) its expanse (vv. 5-11); 4) its nature (vv. 12-14); and 5) its blessing (vv. 15-17). The doxology in verses 18 and 19 concludes not only this psalm but also the Psalter's second section. 1Two psalms are titled "of Solomon," this one and Psalm 127. 2Derek Kidner, Psalms 1-72: An Introduction and Commentary on Books I and II of the Psalms (Leicester, England, and Downers Grove, IL: Inter-varsity, 1973), p. 254. 3Charles Hodge, Systematic Theology, vol. 1 (London: James Clarke & Co., 1960) pp. 491, 492. Why do we think the psalms written in Book Two were written by David and not to David? What is the subject of this psalm? How is the ideal king described? Identify the five qualities of Christ's kingdom. Reflection: Next time you're in church, look up hymns which were based on this verse. Before the service begins, look in the hymnal index for Psalm 72. During the time of silent meditation, reflect on the message in those hymns. 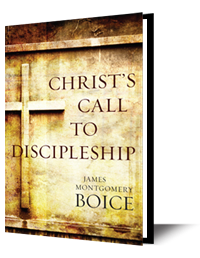 For Further Study: The Alliance of Confessing Evangelicals is offering James Boice’s three-volume paperback set on the Psalms for 25% off the regular price.